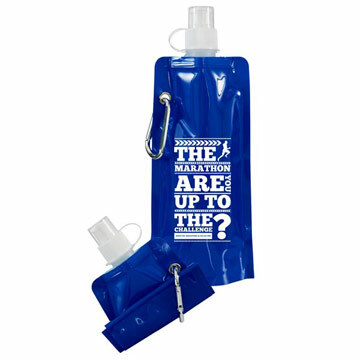 The Foldable Sports Bottle offers a unique take on the promotional sports bottle. It has a modern and stylish design which folds away for easy storage. Its hardwearing metal eyelet and carabiner clip offers exceptional durability. Made from high quality food-safe material, it's both reusable and easy to clean. It's also freezable, dishwasher safe and BPA free.